The Value Stream Map (VSM) is a key Lean Sigma tool in any project involving a complex process, or a desire to accelerate a process. Value Stream Mapping is used heavily in Lean projects and Kaizens. 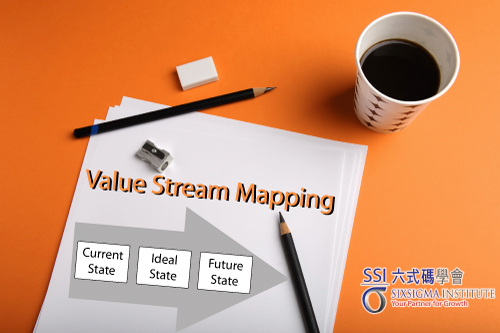 A Value Stream Map (VSM) is a drawing that depicts the flow of material and information along a value stream (the linked series of processes that brings a product from raw materials into the hands of the customer, or that provide a service to a customer), and lets the mapper record information on the spot.